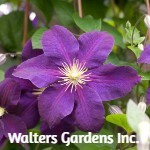 Clematis prefer full sun (except where noted) but need to have their roots shaded. 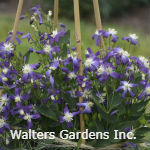 Achieve this by planting a low growing perennial at the base of the plant. 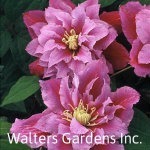 It is always best to mulch with compost or organic mulch rather than rock. 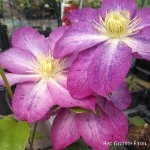 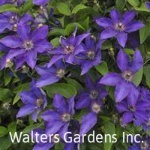 Keep your Clematis well watered; do not allow it to dry out. 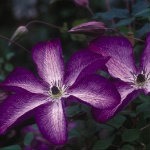 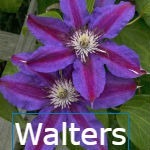 Clematis have specific pruning types, listed above. 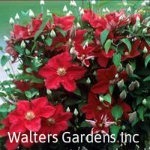 How to prune each type is listed below. 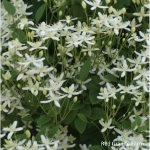 Type 2—All first flowering comes from the previous season’s growth. 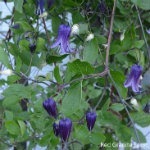 In spring when you see buds begin to swell, cut off all dead material above live buds.